Truth can only be defined on the plane [of immanence] by a "turning toward" or by "that toward which thought turns"; but this does not provide us with a concept of truth (WIP? 39). There are the tense moments of decision in formal drama, when the protagonist debates whether to make a certain move, and finally makes the choice that shapes his destiny, though he still has to discover what that destiny is. . . . We are interested in the kind of decision, if it can be called decision at all: the kind of development that usually takes place in the third act of a five-act drama. 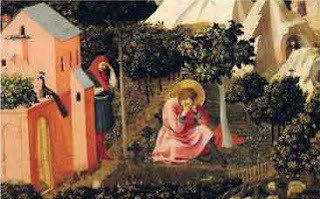 Despite his great stress upon the will, and despite his extraordinary energy in theological controversy, Augustine seems to have felt rather that, at the critical moment of his conversion, something was decided for him. Act III is the point at which some new quality of motivation enters. And however active one may be henceforth, the course is more like a rolling downhill than like a straining uphill (Burke, The Rhetoric of Religion). This moment of decision is taught as the turning point of the standard Hollywood screenplay, instructions for which may be found in countless primers on scriptwriting (coming in this genre at the end of the second act of a three-act script). There is a narrative or dramatistic dimension in Routine, but "concept" separates, isolates, and develops as an alternative to any particular turn or direction, the pivot or switch site, the Archimedian lever of upon which turning as such depends. Routine does for turn of attitude what peripety (peripeteia) does for drama. Burke's analysis of the Confessions resonates with Virno's observation about virtue and evil exploiting the same rhetorical resources of language, Augustine himself contrasts his con-version with the per-version of his pagan experience. "As regards Augustine's Confessions, the most notable use of the vert- family is in the contrast between Book II, concerned with what he calls his adolescent perversity, in stealing pears (a Gidean acte gratuit), and Book VIII, that describes his conversion."